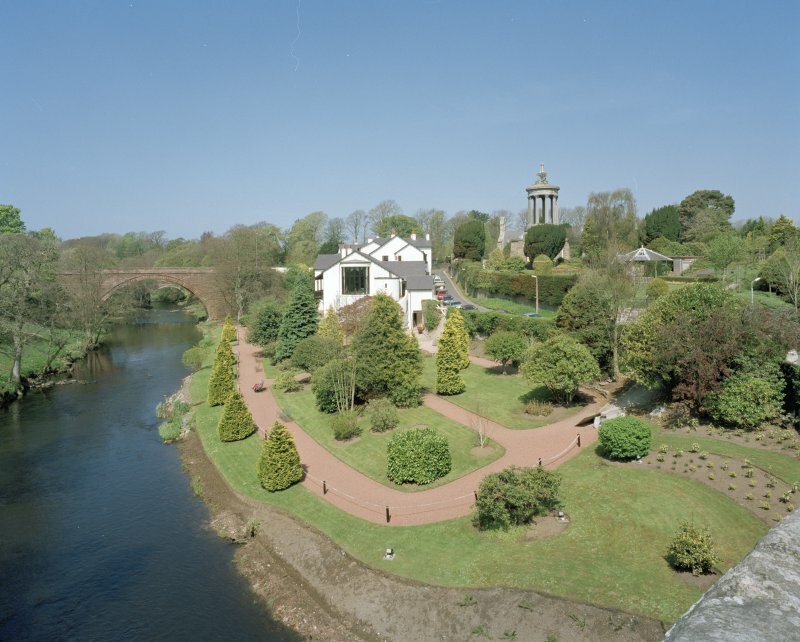 Oblique aerial view centred on the new bridge with the railway bridge, Brig O'Doon Hotel, Burns Monument and Parish Church adjacent, taken from the ESE. 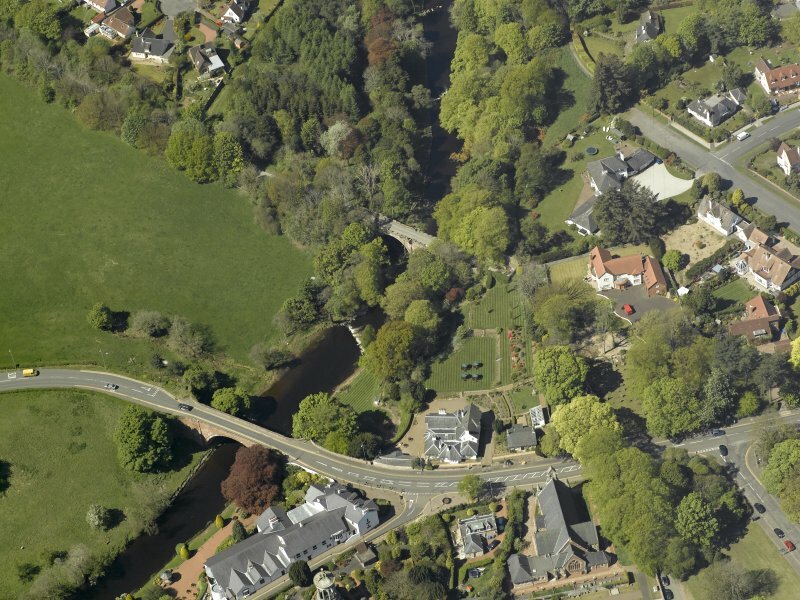 Oblique aerial view centred on the new bridge with the railway bridge, Brig O'Doon Hotel, Burns Monument and Parish Church adjacent, taken from the SSE. 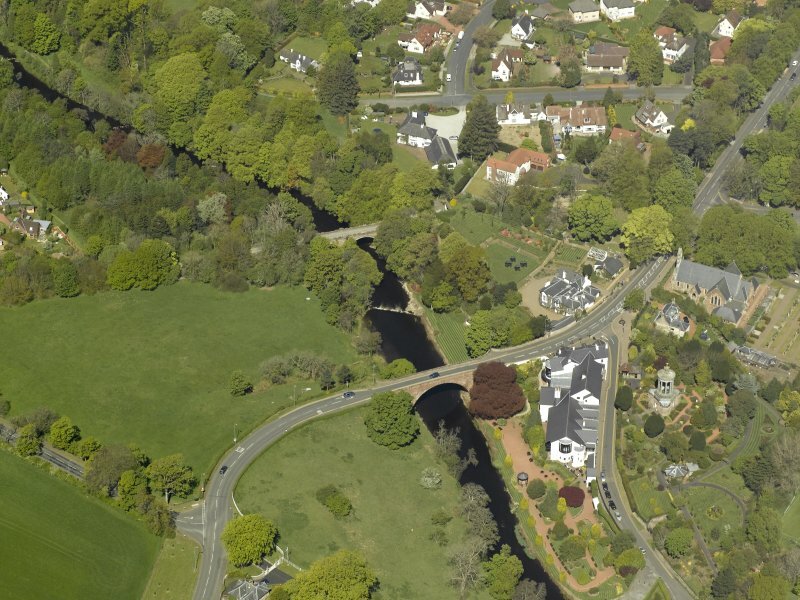 Oblique aerial view centred on the railway bridge with the new bridge adjacent, taken from the NW. 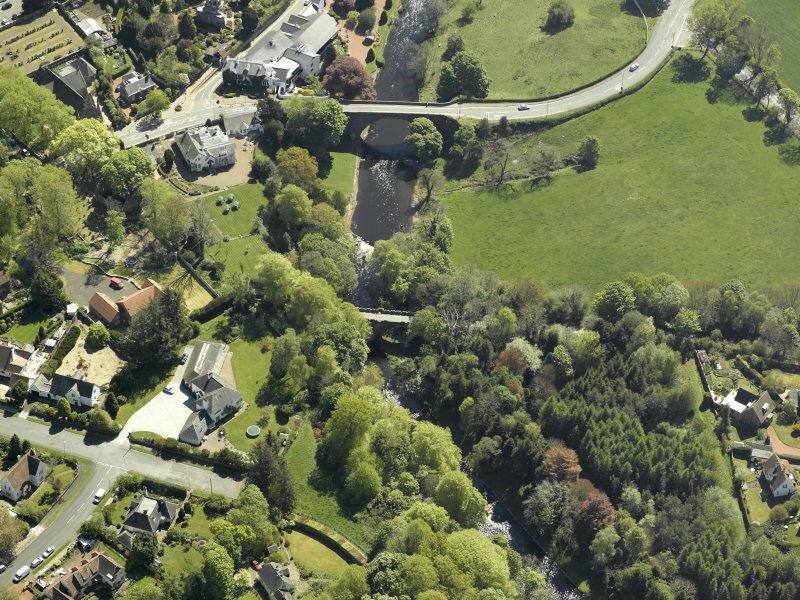 Oblique aerial view centred on the railway bridge with the new bridge adjacent, taken from the NE. Location formerly entered as NS 33155 17943. 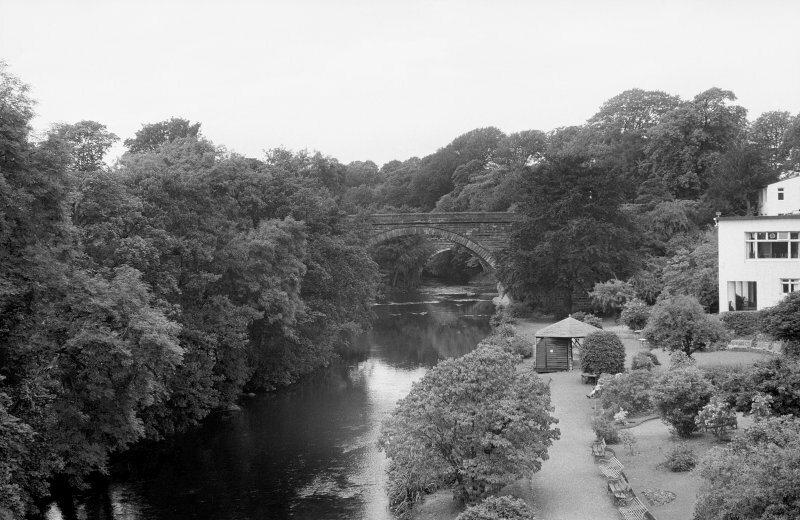 For (predecessor) Old Bridge of Doon (upstream, to SE, at NS 33237 17830), see NS31NW 14. For corresponding railway bridge (NS 33088 18030), see NS31NW 88. (Location cited as NS 332 179). 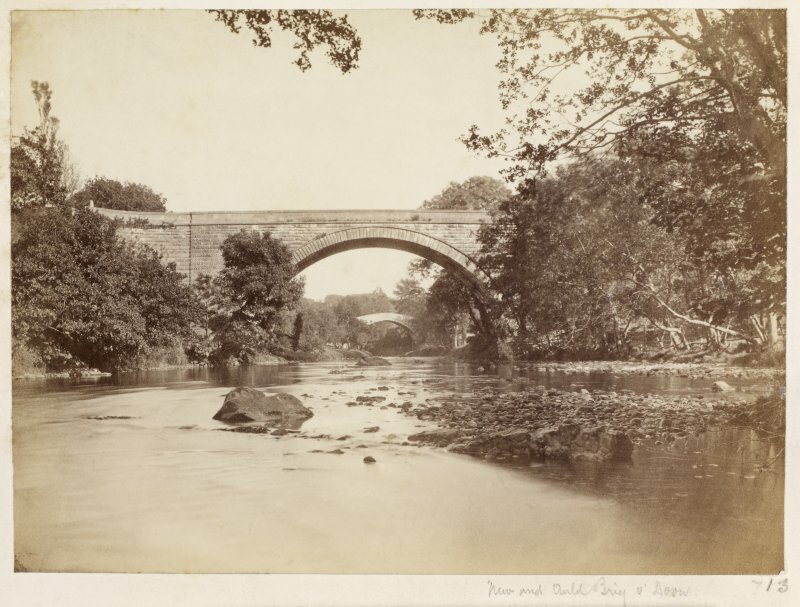 New Bridge, Alloway, built 1816. A single-segmental arch, with dressed-stone arch ring and coursed-rubble spandrels. 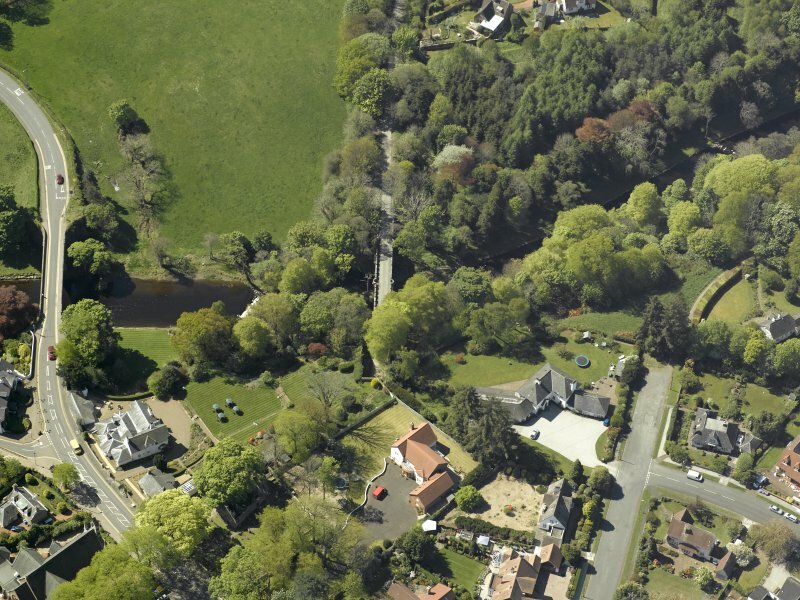 This bridge carries the B7024 public road over the River Doon to the S of Ayr. 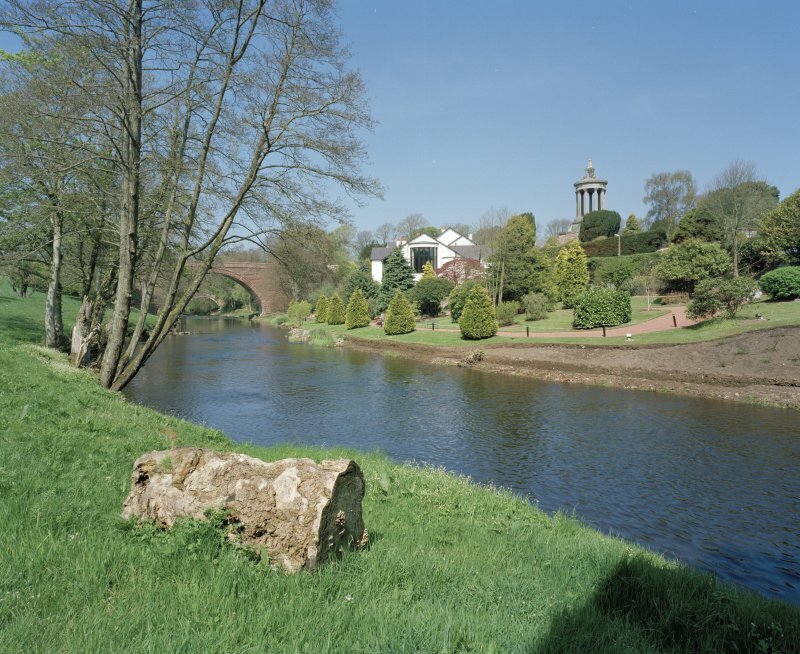 The river here forms the boundary between the parishes of Ayr (to the NE) and Maybole (to the SW). The location assigned to this record defines the midpoint of the structure. The available map evidence suggests that it extends from NS c. 33137 17928 to NS c. 33166 17950. Information from RCAHMS (RJCM), 23 May 2006.